Sometimes spooky stuff happens. I used to know a minister of the cloth who would simply call it “God stuff”. Moments when we are forcibly struck by the remarkable. Forced to consider whether something is simple coincidence, or evidence of something we do not clearly understand. Of something super-natural. 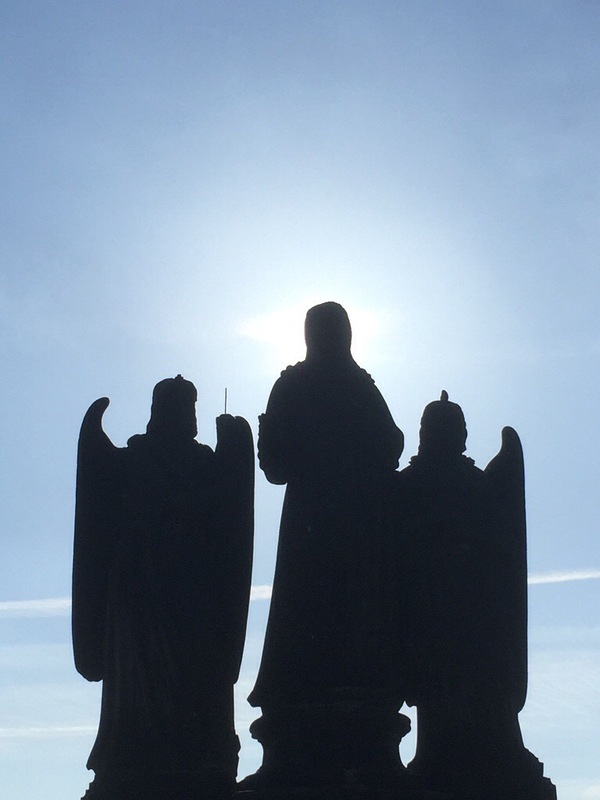 I have hundreds of friends who will tell me – some with pitying smiles – that the sun sitting perfectly behind the Christ in this statue on King Charles Bridge in Prague is nothing more than a coincidence. Indeed, that as I had to move my feet to frame the shot perfectly, it is more than coincidence. Worse, it is artifice. And so it might well be. But what is the “God shaped hole” inside me that immediately excited me about the potential for the shot? That showed it to me in my mind before I took it, and compelled me to capture the moment? That left me so satisfied by having taken it, and so keen to share it? Am I merely exhibiting my own confirmation bias towards my religious views, or was I moved by an infinitesimal moment of connection with the divine? A miracle, it is said, is something which confirms faith. Thus, I prefer to herald this moment as a tiny miracle. A one person miracle – hardly significant set against the troubles of the world, but significant for me. After a few days of looking at religious art where figures were routinely shown with halos, an actual halo. You call it what you like, Dear Reader. I won’t be offended.